These small bins fit perfectly in classroom cubbies. 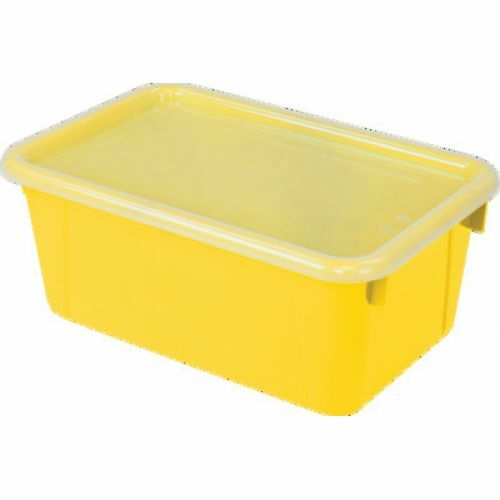 They are also useful boxes for organizing your classroom. They are made of a drop resistant plastic which prevents cracking. Bright colors are ideal for STEM or STEAM organization. The clear lid is included. Perfect bin for shoes or even general storage. Standard sized bin fits into most classroom furniture. Clear lid is included with each bin. Bright Colors are perfect for STEAM or STEM color coding. Bin fits most children shoes.